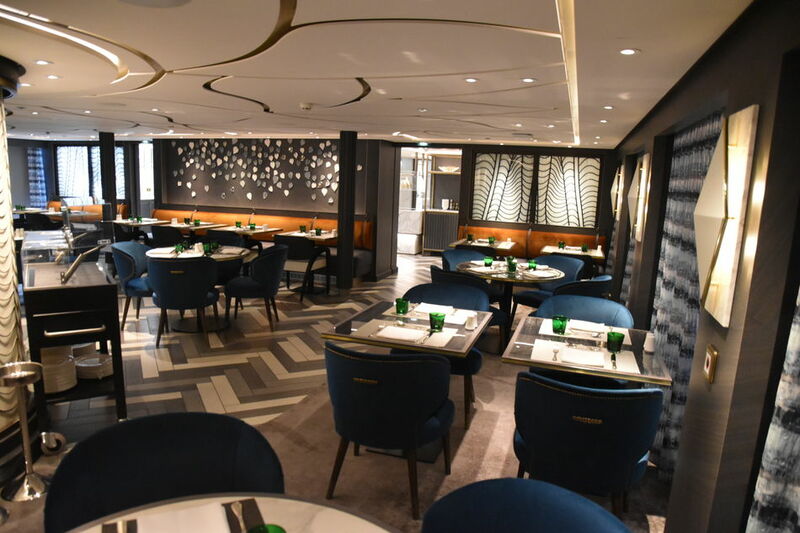 Crystal Ravel is one of four sister river ships called "Rhine Class", that make up the five-ship fleet of Crystal River Cruises, joined by Crystal Mozart, the largest river ship to sail on the Danube. Crystal Ravel accommodates 106 guests in all-suite accommodations, all above the river line, ranging in size from the Petite Suite at 188 sq ft to the grand One-Bedroomed Crystal Penthouse at 506 sq ft. Most of the accommodations are the S1 to S3 Deluxe Suites at 253sq ft. They all have panoramic balconies, which is where the top half of the window moves out and down to create an in-suite balcony. Useful as it maximises the space of the room. 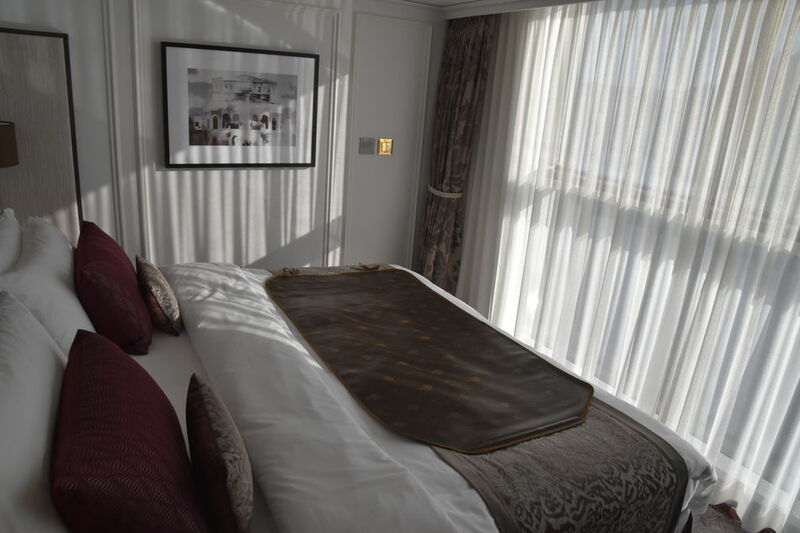 All the beds face the floor-to-ceiling windows, so great to relax and watch the scenery go by whilst resting. The bed was huge, super comfy and a choice of pillows was available. Air conditioning worked a treat as I like it super cool, and plenty of space in the walk in closet. The flat screen TV had bridge camera views, plenty of satellite channels and also movies on demand. The bathroom was spacious with twin sinks and large shower area. Amenities are provided by Etro, and we had shower gel, shampoo, body lotions and conditioner with a lovely musk fragrance. Lots of fluffy towels too of course and luxury bath robes. We embarked the Crystal Ravel in Vienna, and after showing our passports, were escorted to our suite where check in was completed in the comfort of our room! Our keys/cabin cards were in the suite already, with a bottle of champagne chilling for us ready to be popped. Easiest embarkation ever. This is the lowest deck, deck number 1, right on the waterline, and there are no guest accommodations here. 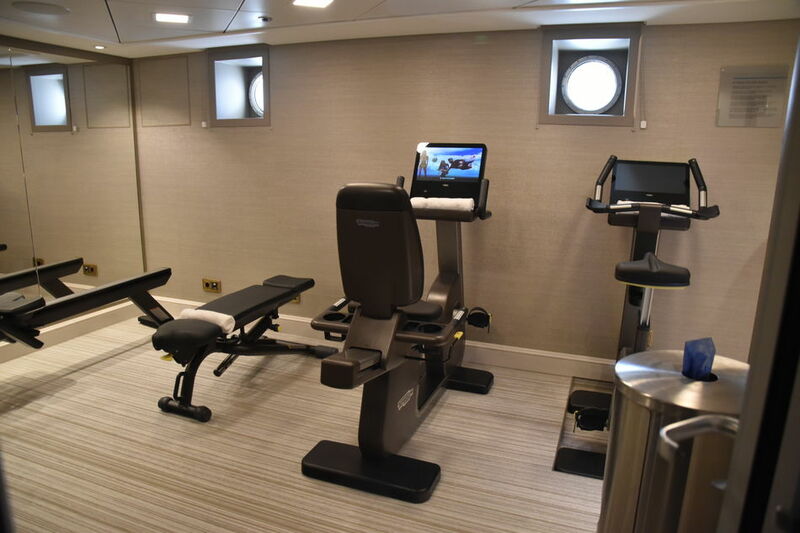 The Rhine Class ships all have a central spiral staircase leading to all floors that ends here (or starts, depending on your point of view), and leads to the well equipped gym (not a bad size with Techno gym machines and free weights). There is an on-board fitness instructor that provides free classes either on the top deck or in the Palm Court, the main lounge on board. Next to this is the Spa treatment room for massages, and also the guest laundry, with two dryers and machines, with free detergents and an ironing board. I asked my butler to iron my shirts and they came back the next day – so no ironing for me! But some guest like to press their own clothes! The next deck up is Seahorse Deck, and the first deck with guest accommodations, featuring three grades, S2, S3 and S5. My own suite was on this deck, suite 210, about a quarter of the way down the corridor. The accommodation is towards the rear half of the river boat, with the public rooms facing forward. 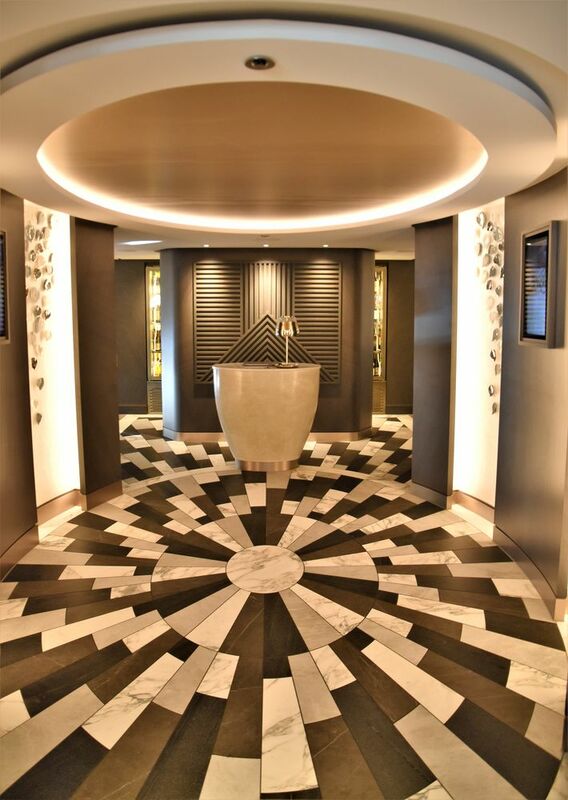 Heading up the central spiral staircase from Harmony Deck brings you to the ships entrance, along with the reception area and also the Pantry. The reception staff were super helpful when I had to use them, and helped sort out my wi-fi connection, my tours and transfer to the airport – a one stop shop! Genuinely nice staff here who always greeted you when you passed by. The Pantry is an area open 24 hours that featured freshly made cookies, Danish, croissants, fruit, wine, and a coffee machine for cappuccinos, lattes etc or just hot water for the top-brand tea (black, green and herbal) A fridge also held other treats – so plenty of choice for those who might be peckish - as if – the food is amazing on board! Forward from the reception area is the Waterside Restaurant. A very grand marble-and-wood floor leads to a reception desk with entrances either side to the main dining room. The room is a U shape, which gives the impression of three smaller rooms rather than one large dining area, and makes for an intimate and quieter experience. Plenty of tables for two with blue chairs, crisp white linens accented with emerald green glassware. 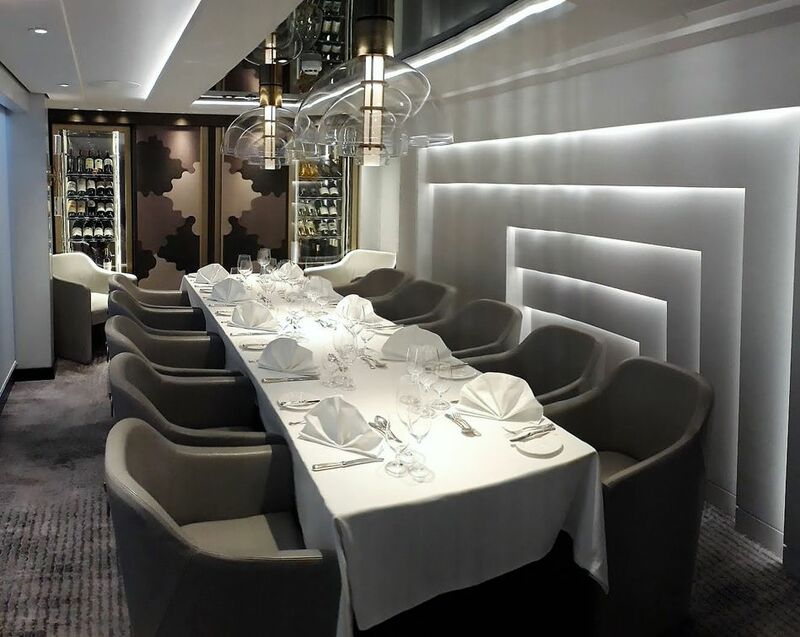 Most river ships have the buffet area situated within the dining room, however on the Crystal Ravel and her sister Rhine Class ships, Crystal Bach, Crystal Mahler & Crystal Debussy – the buffet area is located towards the rear of the room, screened off by a wall and accessible either side. This makes for a quieter experience for all guests and keeps food/cooking aromas away from the main room. 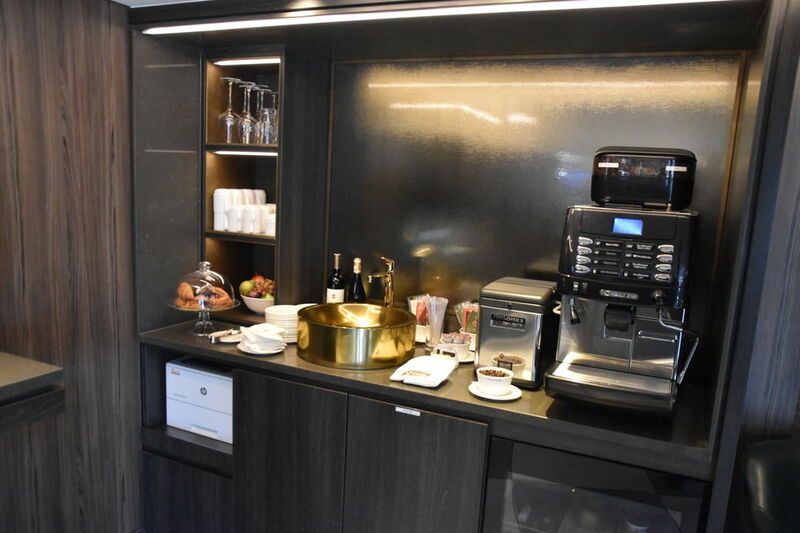 For breakfast there was so much choice, with egg stations, bread area (freshly made on board every day) fruits, smoothies, cereal, hot foods and more. You could also order off the menu for Eggs Benedict, poached eggs etc so all bases covered. I really enjoyed the freshly squeezed orange juice and the eggs Benedict! Lunch was a similar set up with hot and cold dishes being offered in the seperate buffet area or off the menu (I had the burger with black truffle fries - delicious), but dinner was where Crystal River Cruises really excelled. Dinner is open sitting so you can go when you like – open from 7pm to 9pm, and with no fixed table allocation or dining companions, you can choose who and where you wish to sit. 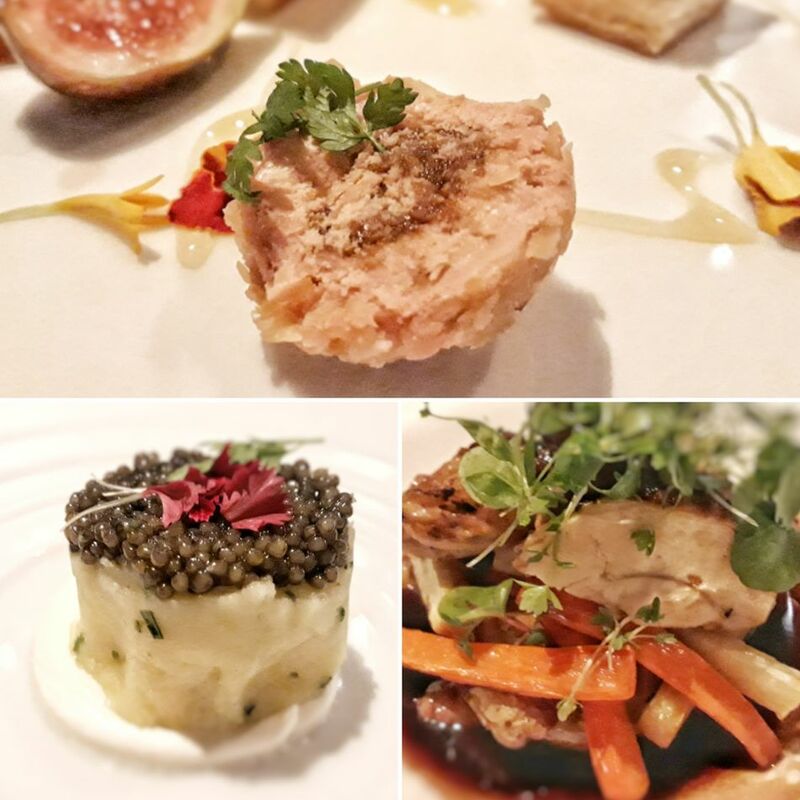 The food served on board is of the same award-winning quality as on the Crystal Cruises ocean cruise ships, and was exceptionally delicious. Courses included Crayfish Cocktail, Pan-fried Tiger Prawns, Slow Roasted Almo Beef Tenderloin, and as we were in Austria, local dishes such as Pan Fried Veal Scaloppini, Wiener Schnitzel, and Sous-Vide Milk-fed Veal Tenderloin. 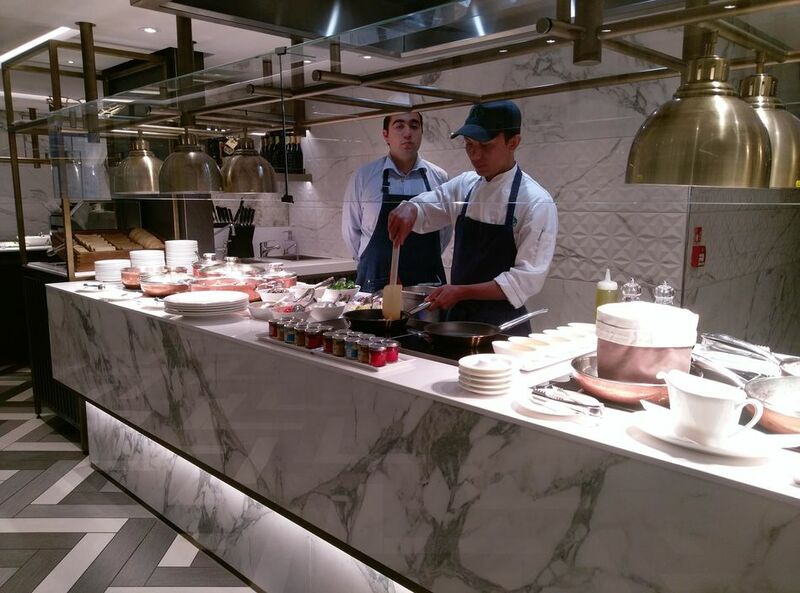 Of course traditional main fare was available too, such as rib-eye steak, crusted salmon, or chicken breast. 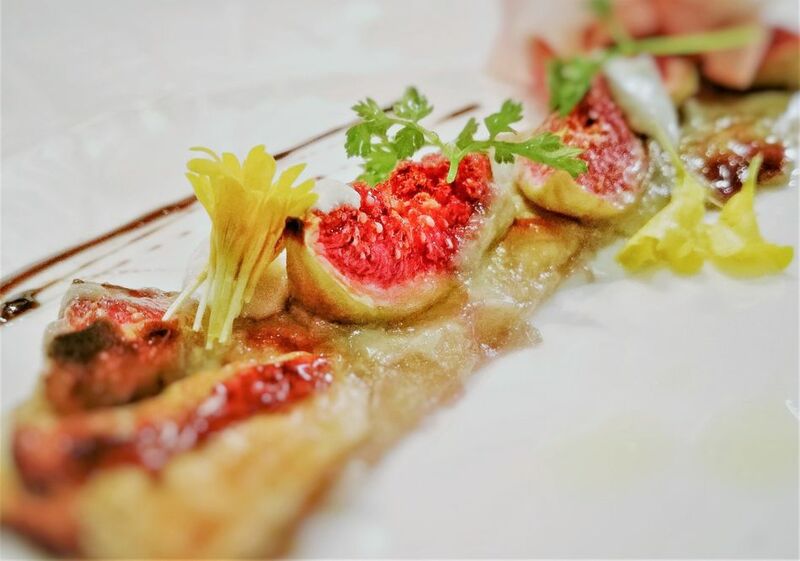 Appetizers consisted of roasted black mission fig tart, Anna Royal Dutch Caviar and Foi Gras Praline, so plenty of choice for all. One night we all fancied some chips, they weren’t on the menu but it was no problem and the chef soon served up four bowls of golden fries! 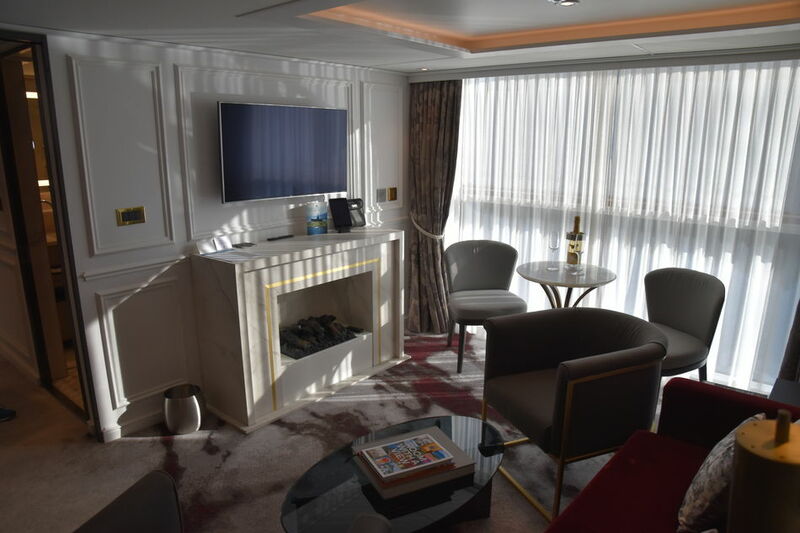 The next deck up, deck 3, is called Crystal Deck and features the top suites and other accommodations. 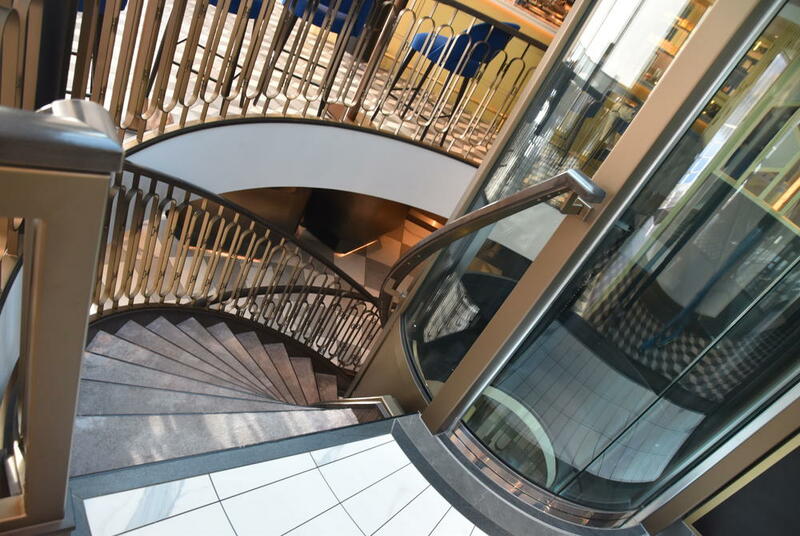 The spiral staircase opens up in another food area – The Bistro. Here you can have a late riser’s breakfast like eggs and pastries, and other foods were available all day such as international cheeses and charcuterie. In the evening it changes into a tapas style restaurant. So a good choice of food if you didn’t want the full Waterside dining experience. Great cappuccinos, hot chocolate and other treats were also always available here. To the left of this area is the Vintage Room where for about Euros200 you can enjoy a 6 course wine paired dining experience, and then forward is the Palm Court, the main lounge on Crystal Ravel. What’s unusual is the ceiling is made of glass panels down both sides, offering lots of natural daylight and of course allowing guest to view the passing scenery. Floor to ceiling windows also add to the spacious feeling of this room. At the front is a small dance floor and piano and the bar is at the back of the room. Lots of comfy sofas and chairs in creams and blue add to the room. You can also exit this room at the front to look out over the bow. 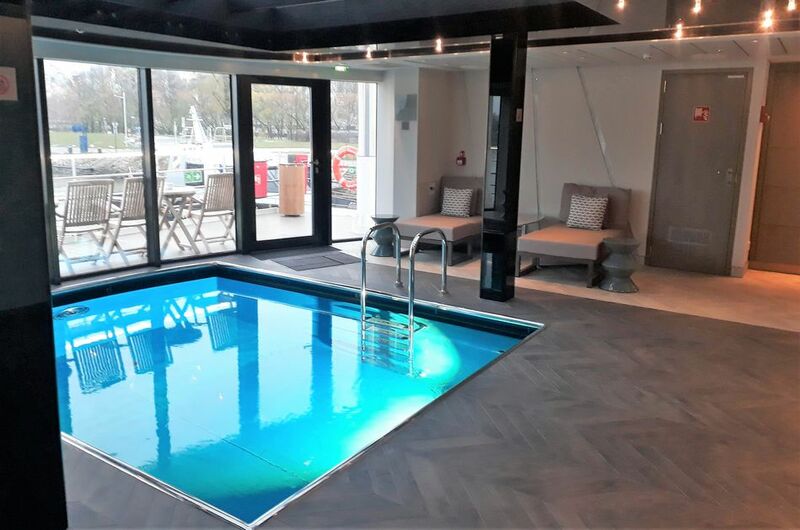 At the very back of this deck is the indoor swimming pool with a swim against the current machine, and also a back deck sitting area. 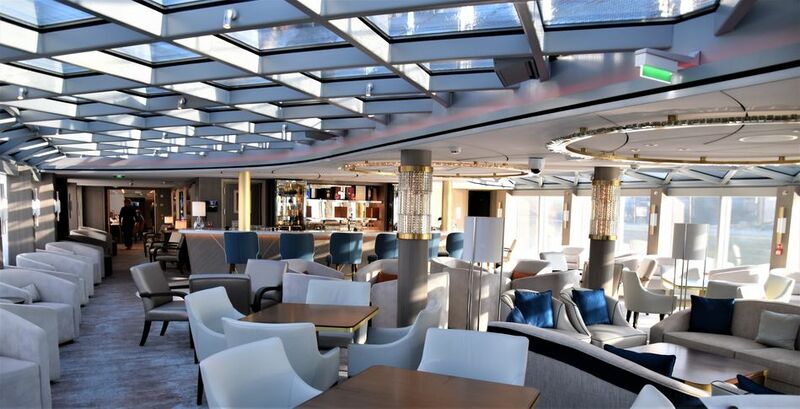 The top deck on Crystal Ravel is the Vista Deck, deck 4, and features of a pop-up bar, sitting areas both under canopy and in the open, and lots of relaxing chairs. I was cruising in autumn, so this area wasn’t used as it was a bit chilly! During the day, there are onboard enrichment lectures on topics based on the areas the ship is travelling in, but it’s really in the evening where the entertainment comes into its own. 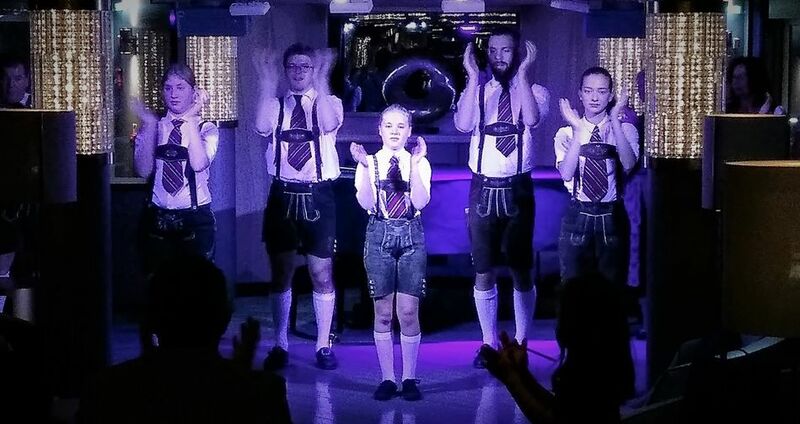 Whilst I was on board, we had the popular Mark Farris playing party music which had us all up dancing, along with guest entertainers such as local Bavarian dancers and also a local soprano and pianist, both of which were great fun. I was onboard for four days, and enjoyed two half-day tours and two full days tours. 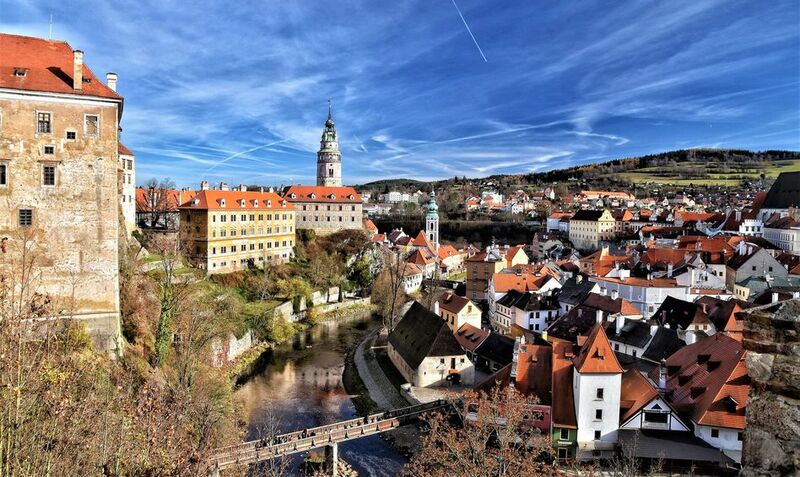 All excursions are included in the fare, and my highlight was the full day tour from Linz to Cesky Krumlov, just over the border in the Czech Republic. It was about a 90 min coach ride away, however as Crystal have their own fleet of luxury coaches; it was a very comfortable ride. There is a plug socket by each chair and also free Wi-Fi on board the coach, plus so much leg room it made travelling a real joy. Crystal use the quiet-vox system, where the tour leader wears a microphone and transmitter, and the guests wear an ear piece. This is great as you can walk away from the guide and take photos, and stops everyone having to crowd around trying to listen. I did two half-day and two full-day tours, and the guides we had were all excellent. The Crystal branded coaches follow the river boats so they never have to use local coaches that might not be of the same quality. All tours are included in the fare and there’s a good choice too in each port. We visited Vienna, Dürnstein & Melk, Linz and Passau on my four day trip and as it was November, we had chilly, misty mornings and some sunny days with blue skies. A bit nippy towards the early evening so definitely hats and scarves weather, however a really nice time to visit as the crowds had gone and the light was gorgeous, with the autumnal leaves adding to the atmosphere. Where appropriate, we had plenty of free-time too to explore the destinations after our guided walks, so great for shopping, museums, gallery visits or more photos. 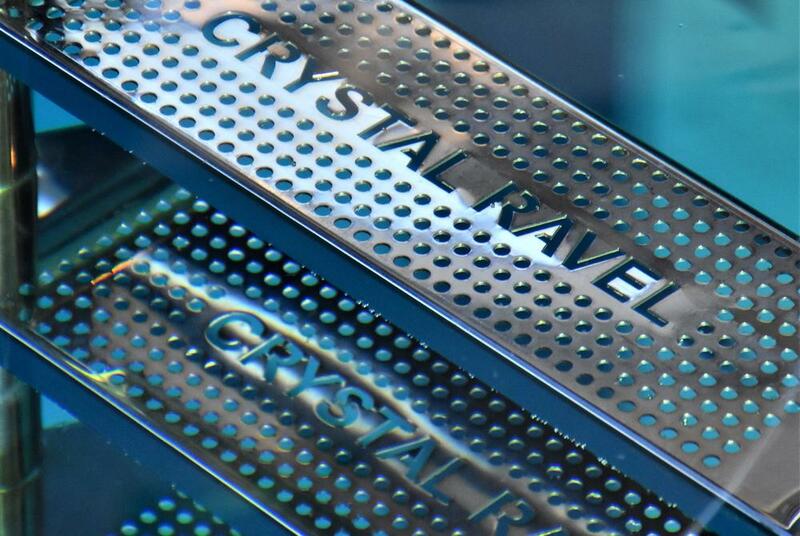 Even though I was only on for a short duration, I had a thoroughly great time on Crystal Ravel. 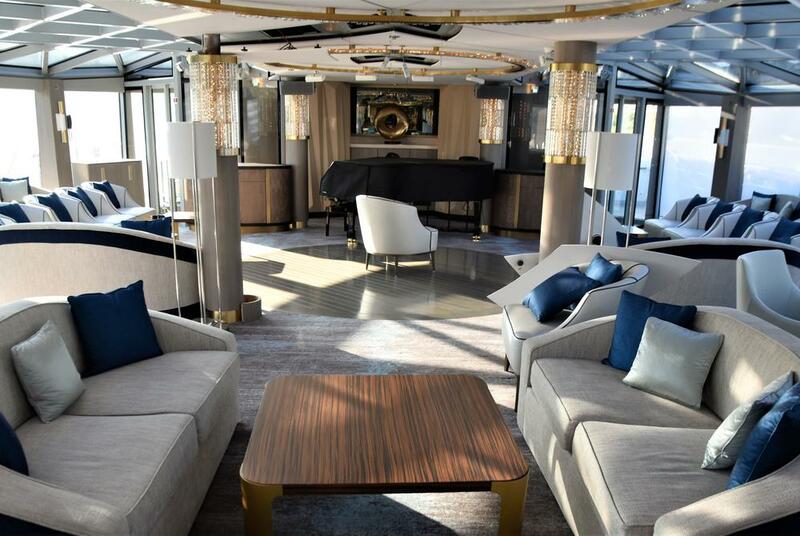 The crew and staff were very personable, the food outstanding – the best on the rivers for sure, and the ship looked amazing – great attention to detail and quality. The room was spacious and comfortable and we had the balcony window down, even in November! I would recommend Crystal River Cruises for couples and single travellers who want one of the best river experiences, with the finest food, wines, service and choice. All photos on this page were taken by myself on my trip!